Hi everyone. I am back with a second post for the day. 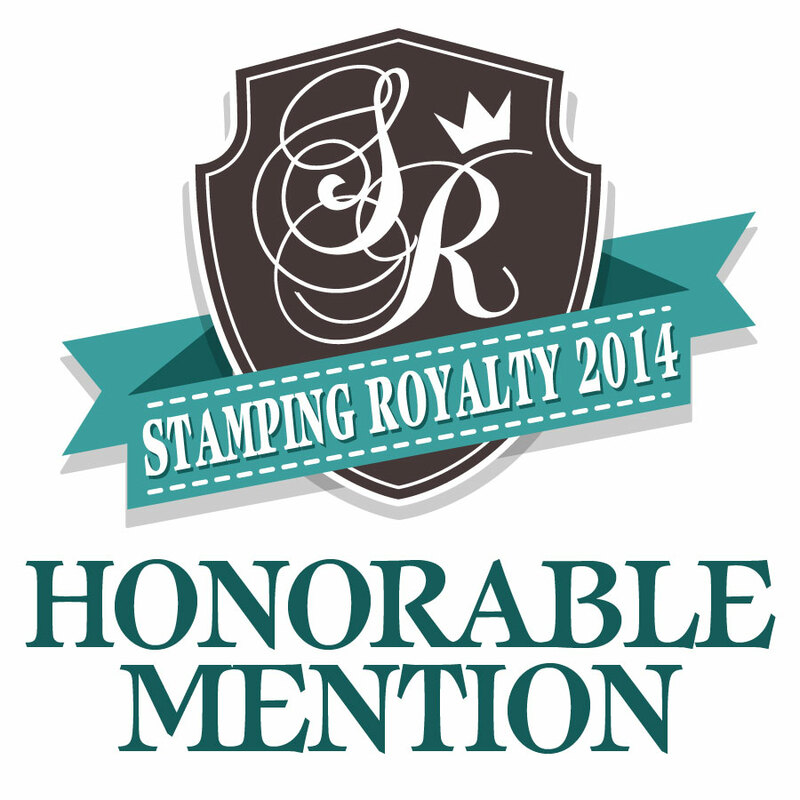 This also marks my last day as guest designer for Simon Says Stamp Wednesday Challenge . All good things must come to an end, right? It's truly been such a pleasure to be guest designing for them this past month. Now, for this latest challenge, it's super easy peasy... ANYTHING GOES! 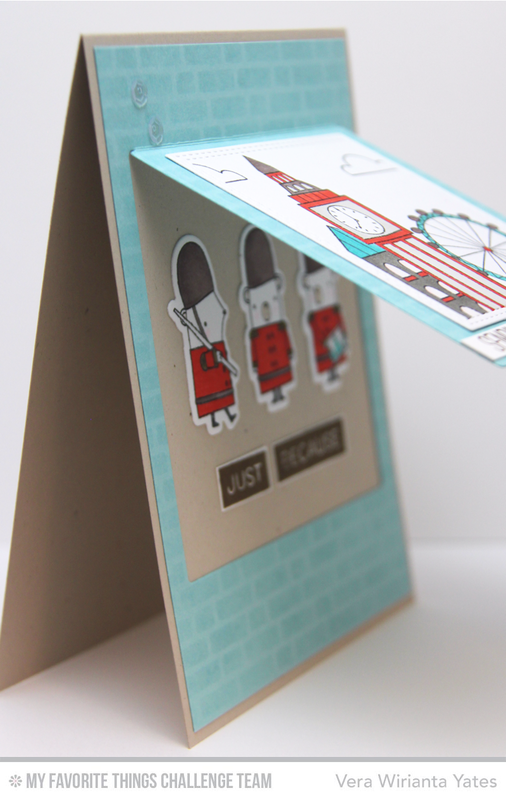 And, we're highlighting the fabulous Clearly Besotted company. Of course, I choose to play with these cuties that been sitting on my desk for a couple months. I know, I know... that's bad of me. I wish there's more time on the day for me to use all the sets I have, but alas... you know how it goes. So, I am glad with this challenge, I get to use this particular set. Super cute set, right? I know I want this set from the moment I saw it. They have this adorable look that makes me want to just squish them. Hah! Phew... Can you believe that we're already at the end of September? I feel like we just celebrated New Years not too long ago. Well, how about celebrating the end of the month with a fun sketch challenge? Here's the latest sketch from My Favorite Thigs. And, here's my card based on this sketch. Gah... I don't know about you, but I love this flip window! It feels as if you get 2 cards in one. LOL. I hope you'll play along with our fun challenge. 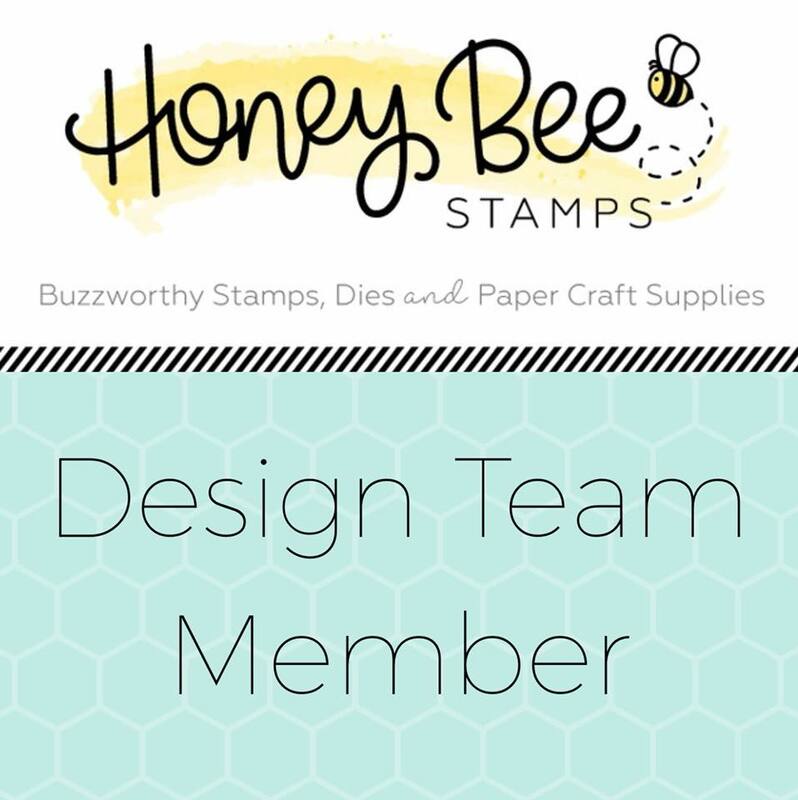 And... psst... if you wait for an hour, you'll see that you can also combine this challenge with another easy peasy & fun challenge from Simon Says Stamp. 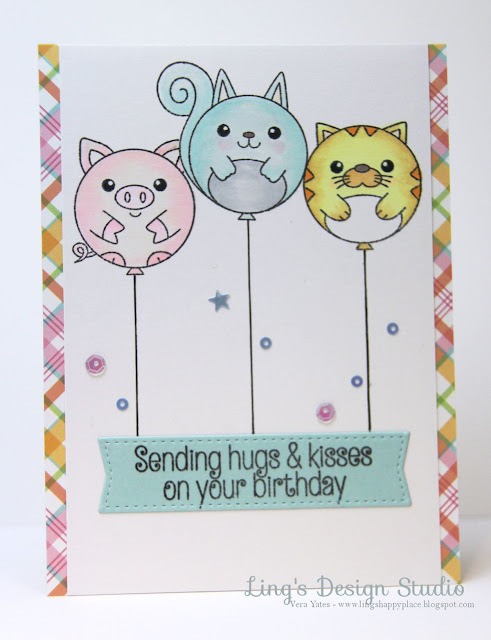 Now, grab your coffee or tea or whatever makes you happy and check out the team creations for this challenge at MFT Card Challenge Blog. As much as I love making regular size card, I also love making mini cards. Most of my mini cards go to my SIL, who owned a cupcake business. She usually included my card with her customer special order. Well, my mini card stash is dwindling, so I need to build them back up. For today, I want to share 2 mini cards that I finished this past weekend. For my next card, I can't help, but reach for the Birds of Paradise set, again! They're just too fun to color. They can brighten any rainy day in my book. I'll be back tomorrow with a couple new fun challenges! So, stay tune. I love the current MFT Wednesday Sketch Challenge 247 that I decided to make another card using this sketch. This time, I am pairing the fun Fall Florals set with this pretty rose background. After stamping the rose, I used Spectrum Noir color pencil to add tone on tone coloring to some parts of the roses to create depth and make it stand out more without overwhelming the flower bouquet on top of it. Just when I thought of getting rid of my neon ink pad collection, I found out that I do love the neon purple because of its rich color. Some days, you just need to go with super CAS card. Like today's card, for example. I got this cool texture embossing folder as part of Crafter's Companion Inspiration Issue 6 Spring Edition and been wanting to give it a try. It sure create such a fun texture. Since, I want the texture to really show, I don't want to cover too much of it, thus why I chose to use this image in small scale. Hah.... Don't you just love how romantic this two little mice are? And, psst... I didn't color this image. This digi image come colored like this, so if you're looking to make quick card, this is the way to go. Hello, hello and welcome to Fall Coffee Lovers Blog Hop! I am so excited that I am able to participate on this hop. Thank you, Chaitali & Amy Tsuruta for organizing this. I love coffee. I love the smell, the taste. My morning doesn't seem to starts right without it. I love my coffee with a spoon of agave and some cream. Currently loving the caramel macchiato one. The only time I enjoy drinking black coffee was when we were in Italy. Their espresso is simply delicious and a great pick me up when you need a jolt of caffeine. And, yes, when it's time to get together with friends, I love meeting them at a coffee shop. Just as stated on the sentiment on this card. I was actually scrambling at last minute to make this card. I wasn't sure till just yesterday, whether I could make it for this hop or not. Glad that I made it. But, that's also the reason my card is not quite in fall colors. Totally forgot about that part. I got the coffee part, right, that's what's important, right? There's a lot of blog to hop on to, so, I am keeping this short. 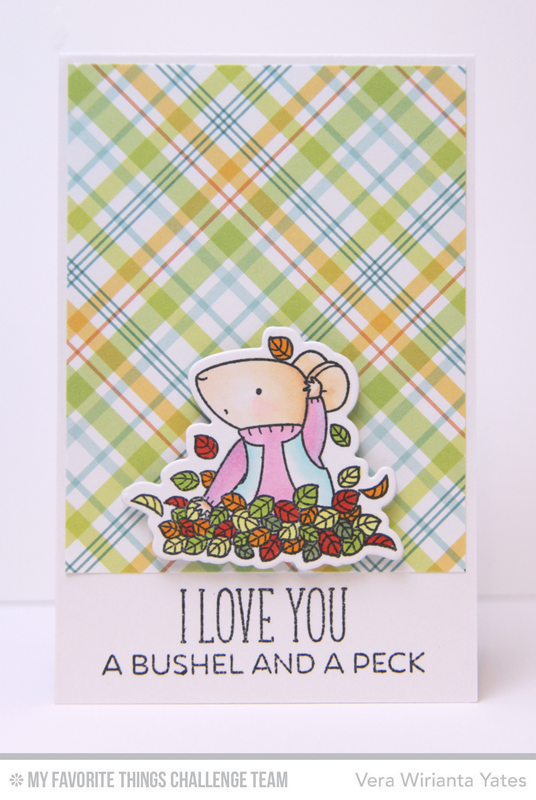 For a complete list of the participants of this hop please go to Coffee Loving Card Makers Blog Hop. I know I'll be spending some time browsing and hopping around to check out what everybody else created for this hop. Hm... I might have to grab the new 2015 flavor from Starbuck, the Toasted Graham Latte, before I started the hop. I am pretty please with the way this card turned out. 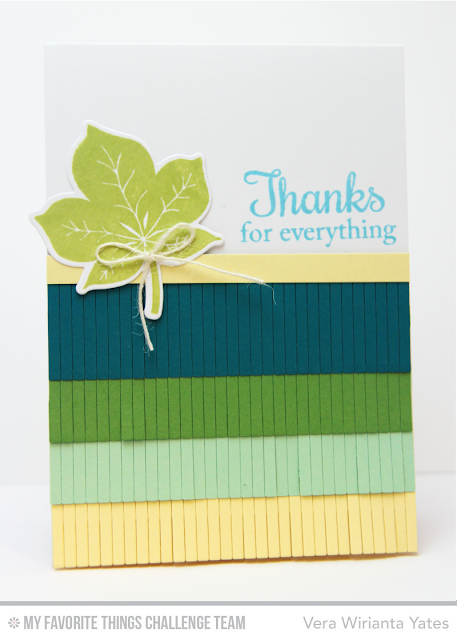 Seriously, this fringe dies add much needed texture & a dash of fun to what might otherwise be a boring card. 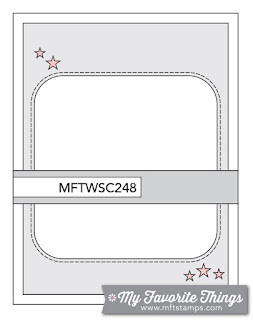 If I just laid plain row of cardstock strip (instead of fringe), it'd have been a ho-hum card. Besides, fringe is trending right now in the fashion world, so why not apply it to the crating world? 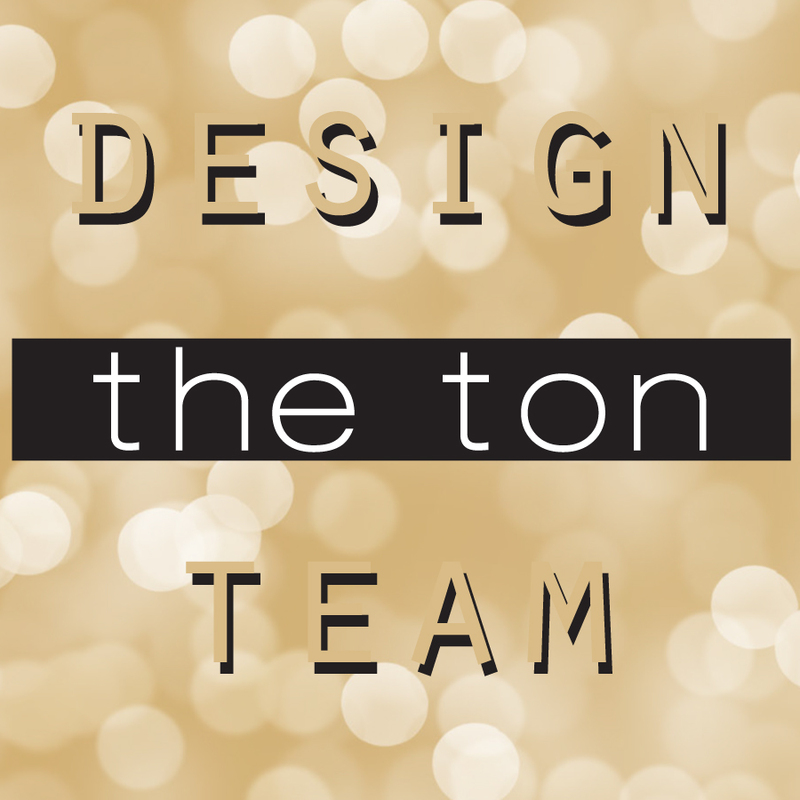 Check out the team creation for this challenge at MFT Challenge Blog. Thank you for swinging by here.